HP has acquired ConteXtream, a privately held software-defined networking (SDN) start-up specialising in Network Function Virtualisation (NFV). As provider of OpenDaylight-based, carrier-grade SDN fabric for NFV, and a current HP OpenNFV partner, the tech giant hopes the deal will further strengthen HP’s leadership in the fast-growing NFV market, which some analysts expect to grow to US$11 billion by 2018. “I’m pleased to welcome the ConteXtream team and its deep expertise in carrier-grade network virtualization solutions to HP,” says Saar Gillai, Senior VP and General Manager of NFV, HP. “ConteXtream’s SDN controller platform complements HP OpenNFV solutions and aligns with NFV’s evolution as an open source-driven architecture. Headquartered in Mountain View, CA, ConteXtream offers solutions that allow service providers to create a more flexible and programmable network through an SDN/NFV model. According to Gillai, ConteXtream’s open SDN controller platform complements HP’s NFV expertise and telecommunications and IT experience. “ConteXtream’s scalable and open and standards-based technology delivers innovative capabilities like advanced service function chaining, and is deployed at a number of major carrier networks across the globe,” Gillai adds. After the transaction closes, ConteXtream will become part of HP’s Communications Solutions Business. ConteXtream’s current CEO, Chairman, and co-founder Nachman Shelef will continue to lead the ConteXtream business within HP and will report directly to Gillai. Today, Communications Service Providers (CSPs) face exploding network traffic on their infrastructure and declining margins. At the same time, Gillai believes they must compete with “over-the-top players” who can be more agile, flexible and able to roll out revenue-generating services much faster. “One of the ways CSPs can gain the agility required to compete is to move networking functions from monolithic, proprietary appliances to open, cloud-based architectures,” he explains. For Gillai, NFV, which represents one of the most significant developments in the communications industry, enables this transformation. “We’re moving away from being tied to dedicated machines to having a resource pool with automated, self-service mechanisms,” he adds. Consequently, Gillai says HP’s objective is to help CSPs “thrive in this disruptive environment” by accelerating their journey to NFV. The HP OpenNFV Program is an open approach that allows HP and external partners, such as network equipment providers and independent software vendors, to take advantage of the open and standards-based NFV reference architecture, HP OpenNFV Labs, and the HP OpenNFV partner ecosystem of applications and services. “One of the key tenets of the OpenNFV architecture is that it’s based on open standards and leverages open source technology projects such as OpenDaylight (ODL),” Gillai adds. One of the critical elements for delivering network agility for NFV is a carrier-grade software-defined networking (SDN) architecture. 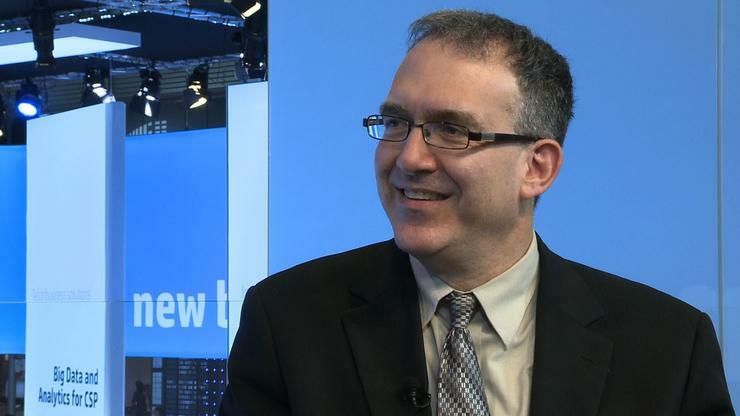 “HP’s OpenNFV program supports multiple SDN controller technologies, and for those CSPs looking for an open source approach, HP has embraced the OpenDaylight project,” Gillai adds. According to Gillai, the market has reached a “pivotal point” for the communications industry. “CSPs have a significant opportunity to explore new markets and business models,” he believes. “It’s a time of change not only in the application of technology, but within the organisation as well. “HP will leverage our technology, partners, services, labs and commitment to open standards to help CSPs thrive.